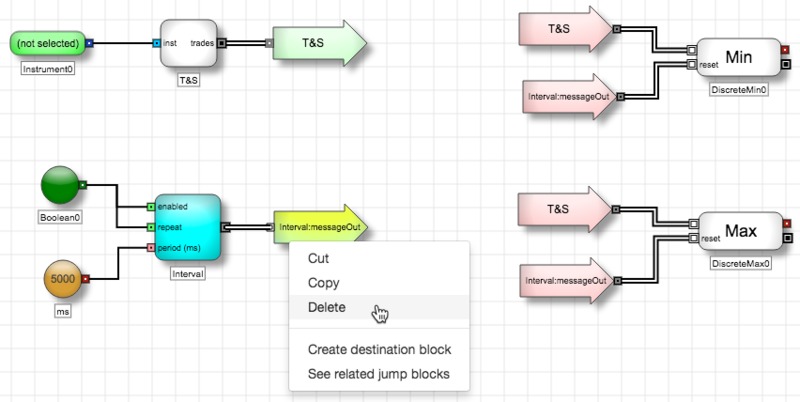 To delete jump blocks, right-click on a Jump block and select Delete from the context menu. Note: If you delete a source (green) Jump block, the selected block plus all of its destination blocks are deleted. Note If you delete a source (green) Jump block, the selected block plus all of its destination blocks are deleted.